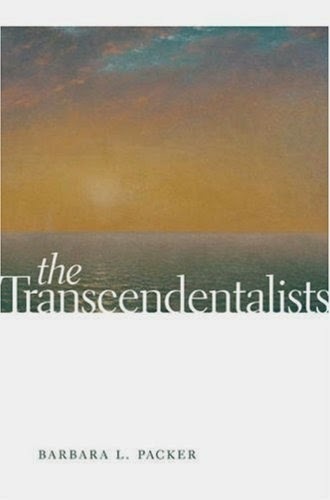 Defying the traditional approach, Barbara L. Packer’s The Transcendentalists begins in medias res and constitutes a thorough analysis of transcendentalism. The author skillfully guides her readers through nine chapters that provide a comprehensive understanding of this American historical, social, religious, and literary movement. Packer’s text is not just a rehash of the key moments and figures of transcendentalism, but an invaluable guide to any student of the American past. Her first chapter positions the birth of transcendentalism as an offspring of Unitarianism, itself a breakaway from conservative religious orthodoxy in New England. As Ralph Waldo Emerson first describes it, transcendental ideas stemmed from a “cluster of discontents” from a new generation that sought to be “devoted to the enlargement of the individual” (1). Packer points to John Locke’s arguments regarding the religious importance of personal knowledge, the growth of historical criticism in Germany, and new Biblical criticism as transcendental influences. These factors attest to a “restlessness always implicit in Unitarianism’s exaltation of the moral sense” that left a legacy of a “sense of imminent clarification” that sparked the movement (19). An examination of Locke and Carlyle reveals the “unresolved contradictions” liberal Unitarians encountered and who they turned to for answers (20). While Lockean emphasis on the individual appealed to figures like Emerson, critics of Locke’s works along with Harvard’s structured classes built solely on memorization and recitation motivated Emerson to look abroad to figures like Madame de Staël (who wrote that we need not reject the world of experience) and Samuel Taylor Coleridge (who made a distinction between reason and understanding). Packer argues that these writings “seemed to offer Unitarians a way out of their spiritual dilemma—a way for them to satisfy the hunger for contact with the transcendent without abandoning the values of tolerance and rational enquiry” (24-25). Influenced by Thomas Carlyle more than any other figure, Emerson celebrated Carlyle’s writings because they embodied a new possibility for Americans—the vocation of the literary life. This new possibility appealed not only to traditional Harvard scholars like Emerson, but non-traditional figures as well, including self-taught Margaret Fuller and Amos Bronson Alcott. Packer then records the first meeting of the Transcendental Club on September 8, 1836, its key members and initial manifestos, and the criticism the movement received. The club’s first meeting--an invitation-only membership--included Emerson, Hedge, Ripley, and Putnam. Packer argues that this meeting along with the publication of Emerson’s Nature the following day, signaled that Transcendentalism was not the “affair of isolated seclusion writing in lonely integrity” that we often recall with Thoreau at Walden Pond, but instead a significant “coterie affair” (48). While Emerson’s Nature--an exploration of Emanuel Swedenborg’s doctrine of “correspondence”--marked the first official Transcendental text, many more followed within the year, including Brownson’s New View of Christianity, Society and the Church (which argued that only out of Unitarianism could the “church of the future” evolve) and Alcott’s Conversations with Children on the Gospel about his experiences teaching Transcendental ideas in Temple School. While Alcott’s methods received the first round of attacks, Emerson himself soon became a target. Packer argues Emerson was very aware of his position in the marketplace and had to mask his anxiety about negative press by putting on an “affectation of unconcern, almost indeed of dandyism” (77-78). By mentioning the 1782 act that made blasphemy a legal offense, Packer paints Emerson as a socially conscious figure. Periodicals were of great importance to Transcendental writers. Clarke’s role as editor for the Western Messenger was to defend Unitarian doctrine. Oresetes Brownson created three journals (the Boston Quarterly Review, Philanthropist, and Boston Reformer) and was the sole contributor to the first, writing an estimated 150,000 words per year to keep it running (103). The Transcendentalists then created their own well-known periodical, The Dial, which ran under the editorship Fuller and then Emerson. Packer sees Fuller failing as editor and notes her refusal to publish Thoreau, who was not accepted until Emerson took over. The Transcendentalists were aware of the reform movements happening across the country, but refrained from embracing any particular movement due to their “intense dislike of all forms of association” (130). It was at this time, however, that Ripley began his social experiment, Brook Farm, as an attempt to participate in social reform through building a new egalitarian society. The community ultimately failed and received extensive criticism, most famously within Hawthorne’s The Blithedale Romance. Packer argues that for Emerson, “the defeat of so much hope testified to the irreconcilability of the world of desire and the world of actuality” (163). Packer’s concluding chapters on diaspora and the antislavery years detail the slow break-up of the group and its members. Emerson traveled Europe and lectured before having to declare his position in the abolition movement after the Fugitive Slave Act in the 1850's. His fraught friendship continued with Thoreau as he wrote Walden about experimental living and writing. Packer also points to Margaret Fuller’s love affair, death, and Woman in the Nineteenth Century as marking the ending of the Transcendentalist movement. Packer concludes her book with an excerpt from Emerson's Nature: “we did not guess its essence until after a long time” (274). Impressive in its comprehensive scope and analysis of Transcendentalism, Packer’s text is essential scholarship for any student of the period.